(NOTE: When my good friend, Beth Rose, who is a writer and reflexologist living and working in Central Minnesota, shared the following story with me, I couldn’t help but think of the trauma I endured a number of years ago when my daughter developed “projectile vomiting.” She was just a baby at the time and her only nourishment was from milk. But as it turned out, she was lactose intolerant and we immediately switched to a soy product. These days she is able to indulge in a bit of whipped cream on our Christmas brandy spice pie, and nibble on cheese and crackers. But she selects carefully and pays the price for overindulgence. Beth’s story in an important one. It seems that more and more children are developing food allergies, and whether that ties into my favorite rant about the overuse of herbicides and pesticides in Big Ag or validates the fact of the many additives that we subject ourselves to on a daily basis, it is crucial to our children that we arm ourselves with knowledge. Thank you Beth. The change in our household food habits began when my eleven-year-old son, Vincent, started having trouble with gas. It wasn’t just ordinary little Poofs! and then it was gone. No, this noxious odor caused people to express their frustration at the dinner table when it happened, or we rolled down the car windows in any kind of weather. We joked that we could offer him to the government as a secret war weapon, but deep inside my husband and I were frustrated that we didn’t know how to help him. An adult would find problem gas disconcerting enough, but to an eleven-year-old boy, the embarrassment is overwhelming. In school, he prayed no one would figure out the owner of the smell that wafted over the classroom. He sunk lower in his seat when he rode the bus, hoping no one realized that he was the reason for the, “Oh my God, do you smell that?” Sometimes the students did figure out who had caused the stink, and he was further alienated in a school where he already felt like an outsider. Fortunately, a client of mine mentioned that she had found a local homeopathic physician’s assistant who helped her with a variety of health issues. Encouraged by the possibilities, I called and made an appointment. Vincent was the only child I had who loved potatoes, and bread was always on his plate. How on earth could we take away so many of his favorite foods? To his credit, Vincent was a trouper. 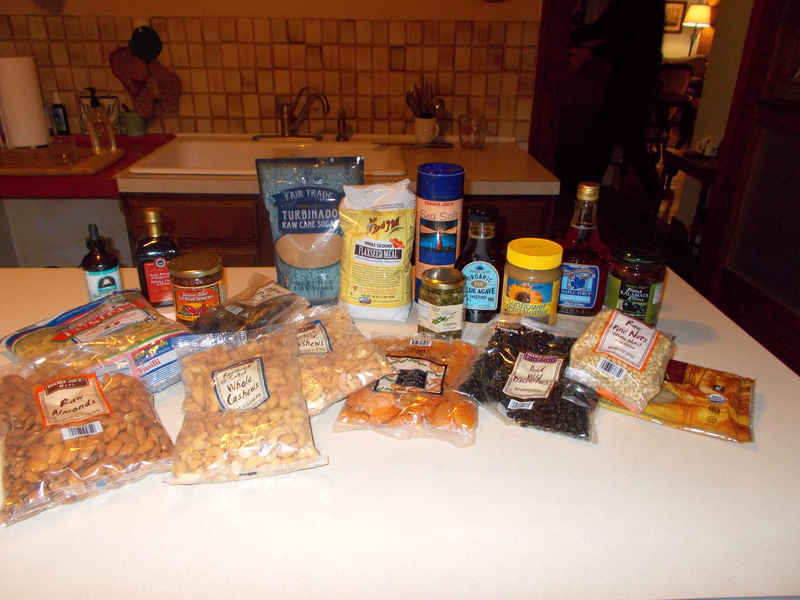 He and I diligently looked at labels in the store, went through the pantry and discussed which food had gluten, plus he sought out various recipes to make his culinary experience on par with the rest of us. We filled out the proper paperwork, and met with the head cook at his school to help her figure out what he could eat for lunch. That’s not to say that we didn’t make mistakes in this culinary adventure. For example, we forgot to take corn out of his diet the first month. Fortunately, his physical issues began to go away. After two weeks, the two of us got together and assessed how he was doing. I noticed he hardly ever blew us out of the car or the room anymore either. But the total surprise was that a mild psoriasis around his body had disappeared completely. It wasn’t a surprise to Kelly. “When the skin develops psoriasis like that,” she said, “it’s often a sign of some kind of food intolerance.” She was pleased to hear of Vincent’s progress and scheduled a follow-up in six months. And what a change in those months! Vincent grew three inches and lost all of his baby fat around the middle of his waist. Family and friends often mentioned how tall and thin he was getting. In fact, he hadn’t lost a pound from the first day of his diet. What changed was that we determined what he should not eat. White potatoes made his intestines so sore that he had no trouble eliminating them from his diet. Corn, he discovered, was still fine, as was oatmeal and barley. He could eat pizza one day for a special occasion, but the next several days needed to be gluten free entirely. While the rest of us continued to use our usual food, we added gluten-free products into our pantry such as pastas and bread. We were very pleased to find gluten-free Chex cereal. Since we had always eaten fresh, the rest of our diet didn’t have to change much. Now Vincent is a happy and healthy thirteen-year-old. All of us are grateful that his gas in gone, and that he feels better. We hope his story can spark other people to consider how food intolerances might be affecting their lives, and perhaps even how a Paleo diet can help them feel better. This entry was posted in education, Family, food, HEALTH, Paleo Diet. Bookmark the permalink. Great article! I am considering the Paleo diet for my family as well. Did you find any books or other resources particularly helpful? Thanks!